Milk Thistle X™ / 60 Veg Caps - Nature's Way®. 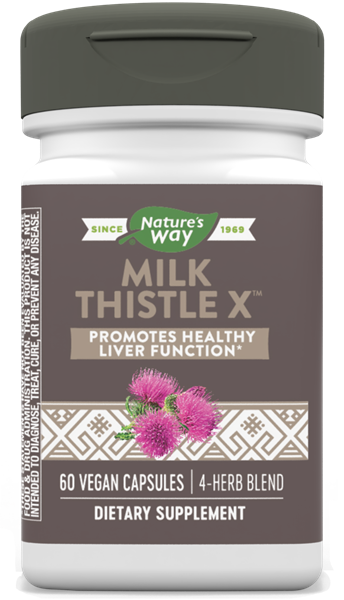 Why take milk thistle extract? Caution: Do not use if you are allergic to plants of the Asteraceae/Compositae/Daisy family, have bile duct obstruction, gallstones, high blood pressure or cardiovascular disease; or if you are pregnant or nursing. If taking any medications, consult a healthcare professional before use.